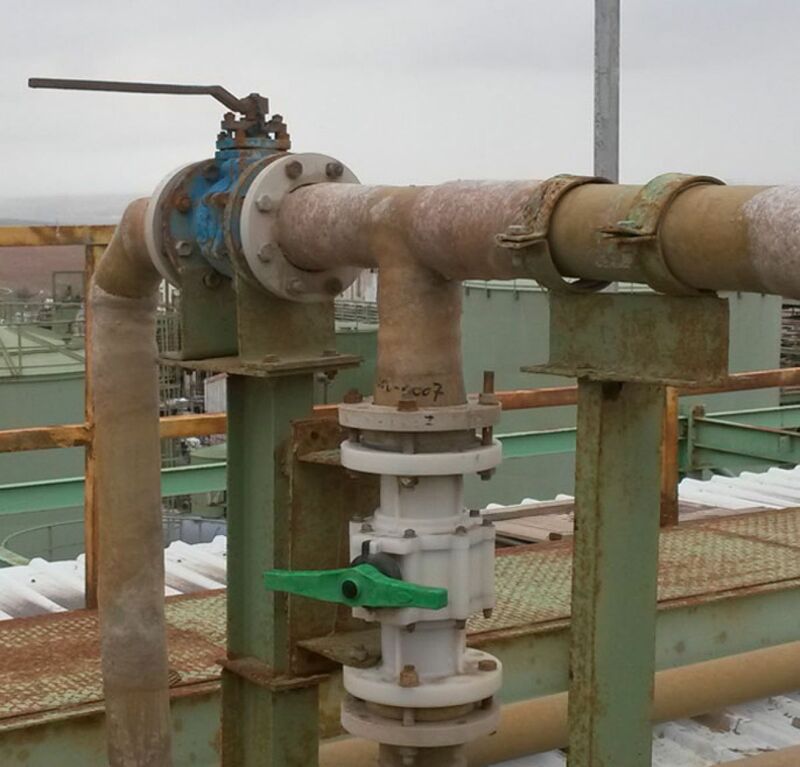 SAFI thermoplastic valves are often a more reliable and economical solution than metal valves for corrosive fluids. Many processes with a pressure lower than 16 bar and a temperature lower than 120 °C are however equipped with expensive metal valves whereas the plastic valves would be more indicated. 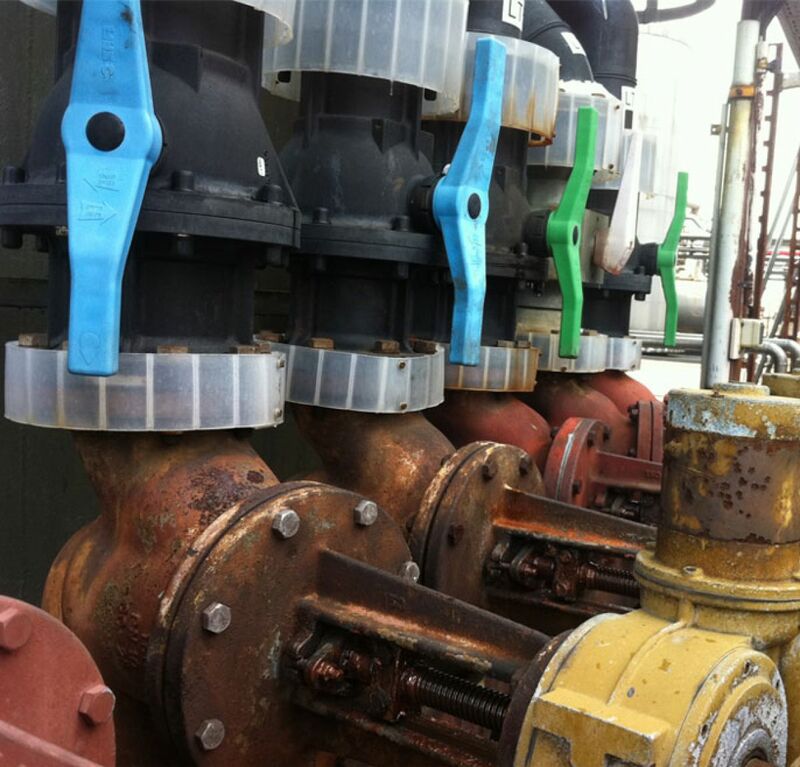 It is common to find valves coated with PTFE or elastomer. These types of valves have the advantage of resisting high pressures and temperatures, because the body of the valve is in metal, while resisting the chemical attack and internal corrosion thanks to its internal coating. 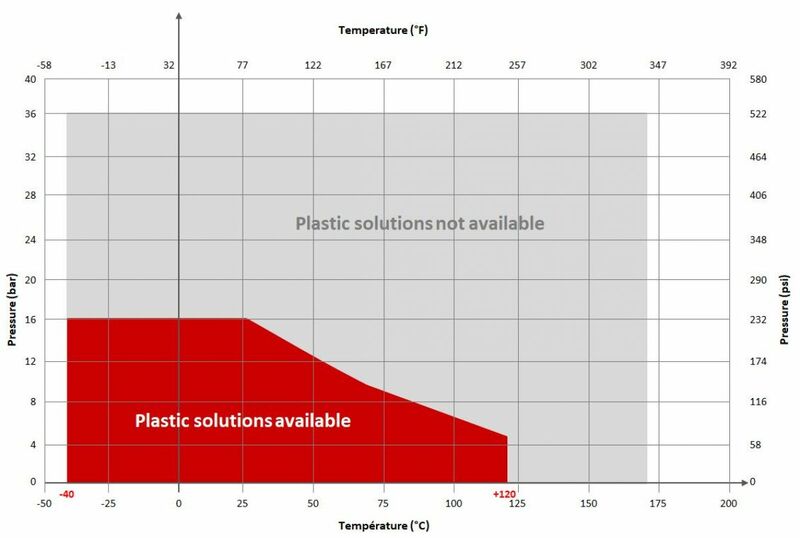 PTFE coated valves suffer 100 times more than PVDF thermoplastic valves. 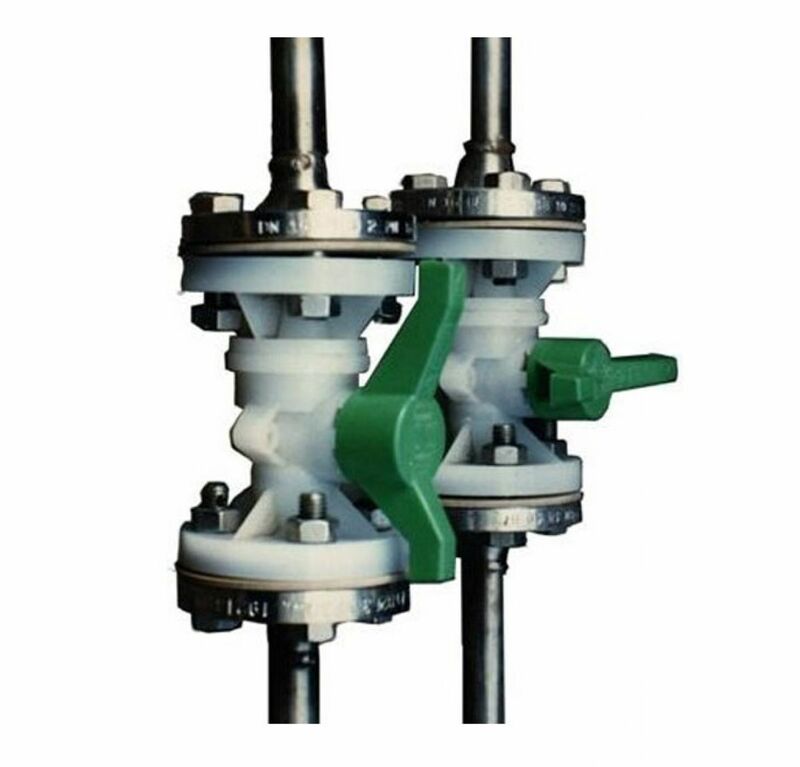 Very often, SAFI valves replace coated valves because in the majority of applications, the temperature is lower than 120°C and the pressure 16 bar. 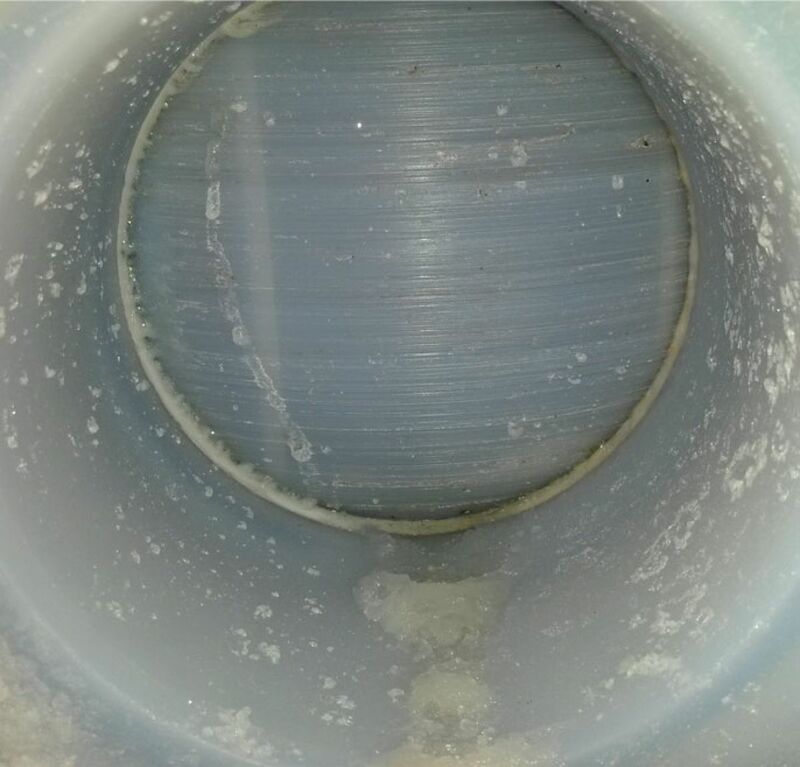 On the picture, the white SAFI valve in PVDF replaced a PTFE coated valve on an installation where chloroparaffin emanations chemically attacked the outside of the coated valves. 1st problem : Alloy valves are always more expensive than thermoplastic valves. 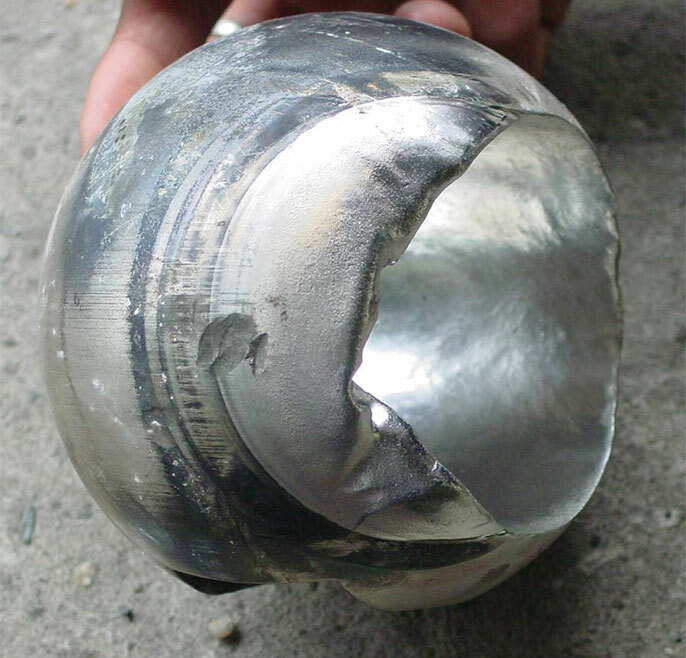 2nd problem : many alloy valves suffer from abrasion. For example, stainless steel valves are made of an alloy of iron and nickel. 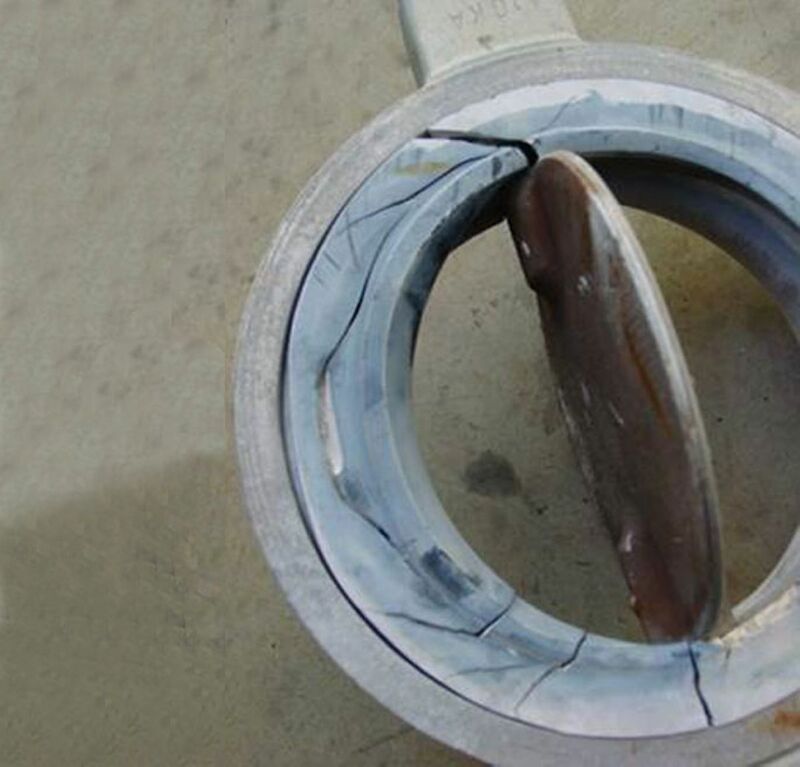 This alloy allows a thin protection layer to create in contact with the chemical. 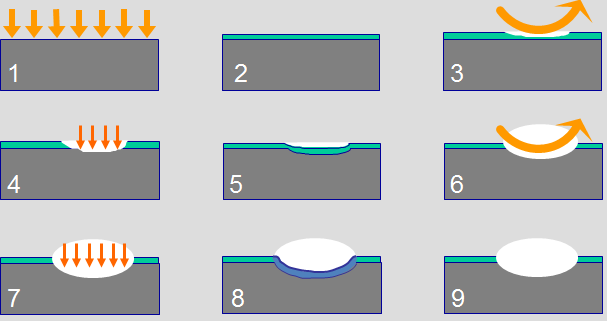 Valves having movable elements (like a ball in a ball valve) create friction between the elements. 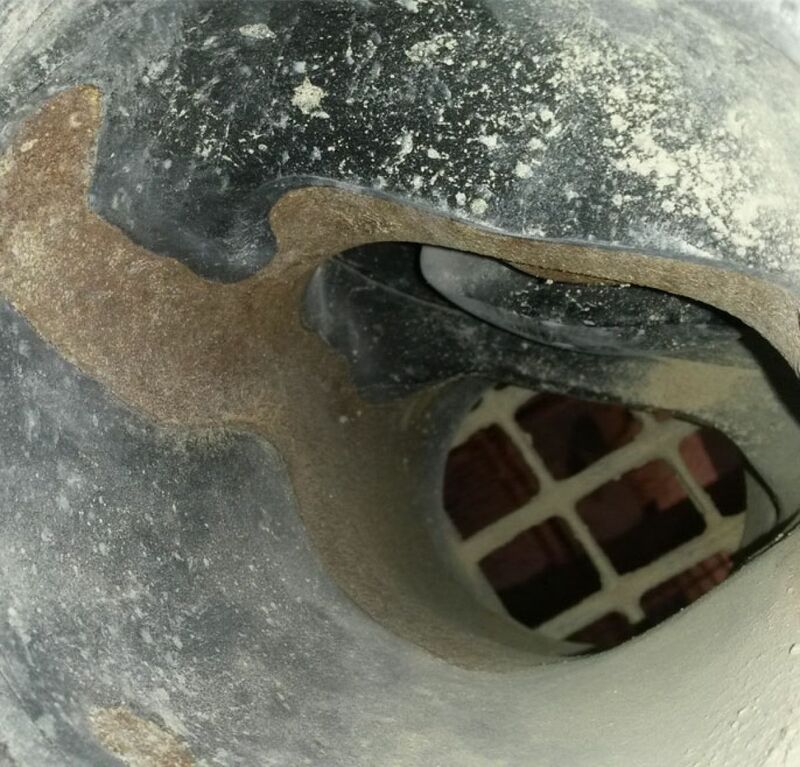 Moreover, if the fluid has solid particles, the abrasion increases, which erodes de protective film of the stainless steel and hollows the material. By force of repetition, on the same area, here is what eventually happens. 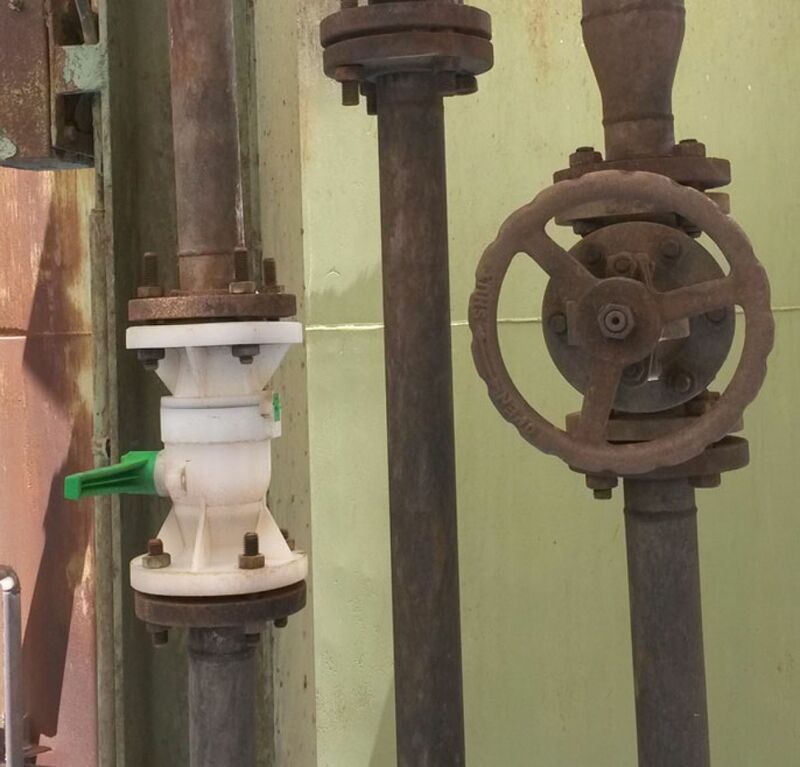 The thermoplastic valves resist better than stainless steel to dynamic corrosion, that is, when corrosion combines with moving dynamic elements, like the ball of the valve. 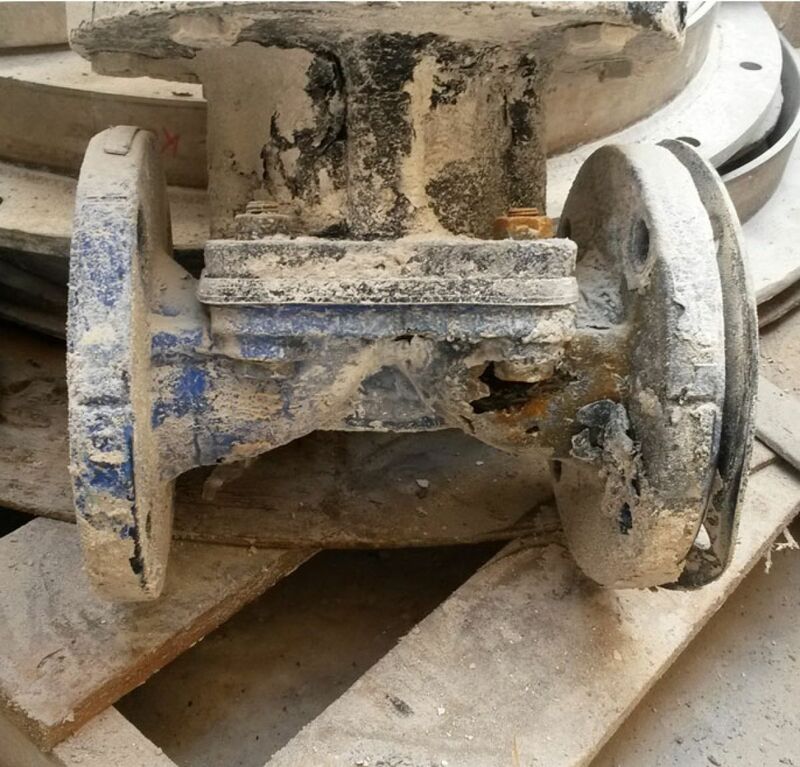 That is why there are installations with stainless steel pipes equipped with thermoplastic valves, because the pipe undergoes non-dynamic corrosion (no movable elements) while valves undergo dynamic corrosion. 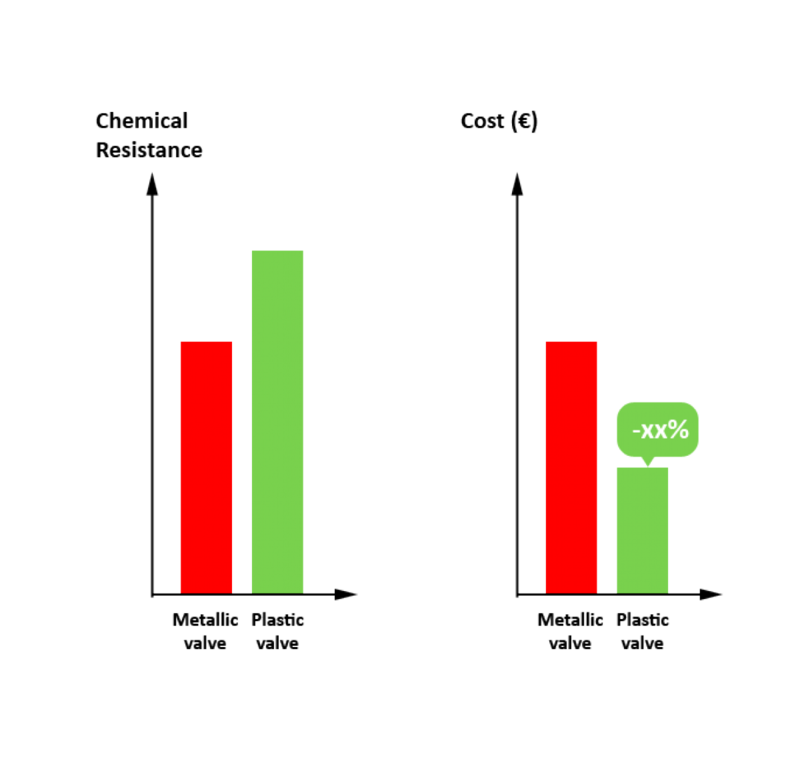 Therefore the SAFI valves regularly replace exotic alloy valves.